One made it. Will the other?! 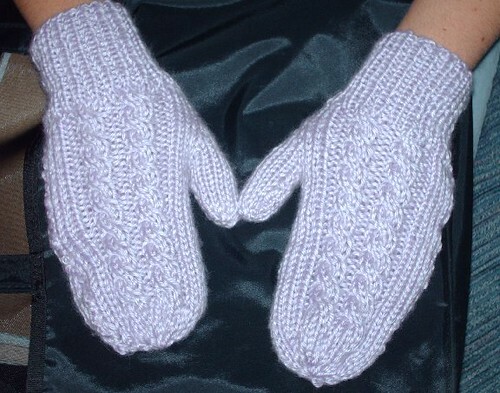 Finally finished the 2nd Mitten today, so I officially have a pair! Yeah me! Seriously tho, this pattern was too way confusing to be a level 1. Its not the stitches that are hard, its just the way that it was written. Especially if your not that advanced at reading a knit pattern. But once I worked the first pattern repeat, it clicked and got easier from there. I'm seriously thinking about tackling more of these bad boys for some ladies at my Church for Christmas gifts but only in a wool blend yarn. The only thing is, I've never made anything for these ladies and it would really chap my behind if they weren't appreciated. I stopped making things for my family for just this reason. They don't seem to understand the love and hard work that goes into making an item and then have it cast aside unappreciated. Enough babbling, now onto the pic! 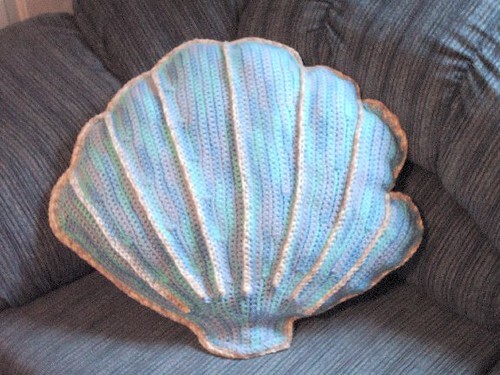 Craft Time: Started July 5th, Finished July 17th. Finished the first one. Now lets see if the second one comes alive! I really need to get better at sewing! The sewn side looks horrible! But considering its just a test project and I will wear them regardless I suppose its irrelevant. 5. 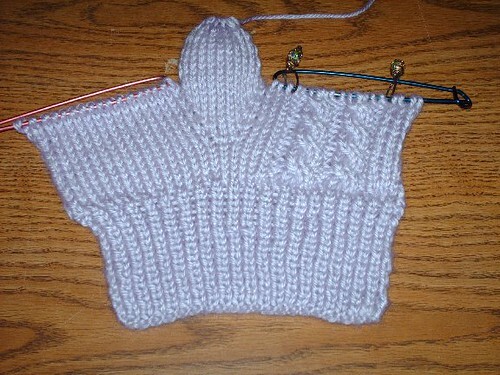 Attempt to even understand enough to get to the thumb gusset *Check*---Whew! But I must say. I'm quite pleased with my progress even tho I've struggled every step of the way through this whole disastrous thing. The project is rated as a level 1 for beginner. Well, let me just tell you. Me personally? I would definitely rate it as a level 3. I have extremely cold hands during the winter. So I figured if I start now, they just might get done by this winter season. But um...don't hold your breath ok? We'll see. Tell me what y'all think. Any tips or advice? I'm all ears. PS...I do have one problem. How the heck do I Cast On in the MIDDLE of the project? 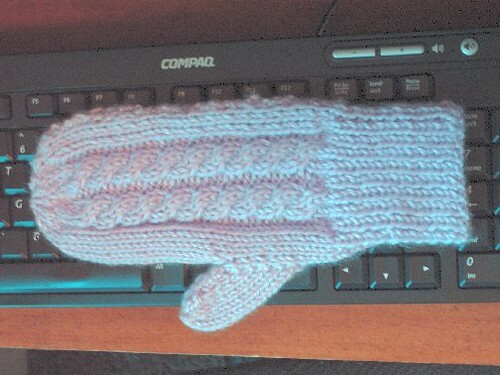 I did it in a way that I thought was right, but is definitely wrong because it left a big hole in my project (where I divided for the thumb gusset and had to CO 2 extra stitches). I actually have a couple of things to blog about this week! I just celebrated a birthday yesterday and received an awesome present from my wonderful boyfriend! I've had my eye on Knit Picks' Options interchangeable knitting needle set for over a year now. I was so excited to receive them in the mail for my birthday! Of course, I knew I was getting them because he's clueless on anything yarn or yarn related. Don't get me wrong, he encourages me and my hobby but is totally clueless on any of the notions and gadgets and gizmo's I need to get the project completed. So hence me ordering the needles for myself. To see what my present consisted of, go here: Interchangeable Knitting Needles. I just want to say one thing that I did differently on this project. Actually it was a mistake, but a good one! I actually 'killed' the acrylic yarn. I think that's the correct term they use. I spread it out on my ironing board and laid a thin bandana on top so the iron did not touch the acrylic directly and steamed iron the piece flat. It set the stitches and made it so soft and pliable. Before, it was all stiff (which acrylic tends to be) and curled up so badly it was horrific. This made the entire thing so soft and lay down flat. I would recommend doing it. Just wanted to throw that out there. So I'll close with the pic of the pillow and I want to wish everyone a safe and happy Independence Day!